Oh, come on. I’m my father’s daughter. I couldn’t pass that up. You know who loves corn? My weird kid. 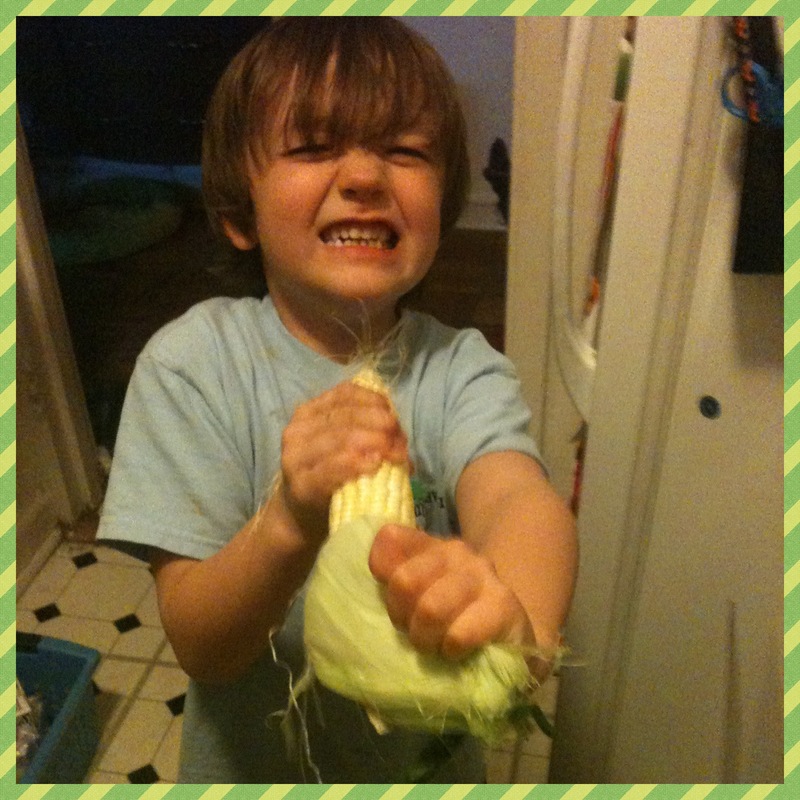 He begs for it, and when I bring it home from the grocery store, will eat it raw off of the cob! (Although he does prefer it cooked). Once I’ve cooked up a half-dozen ears, he’ll spend the next few days eating them as snacks until they’ve all been consumed. This picture kills me. I had to include it twice. 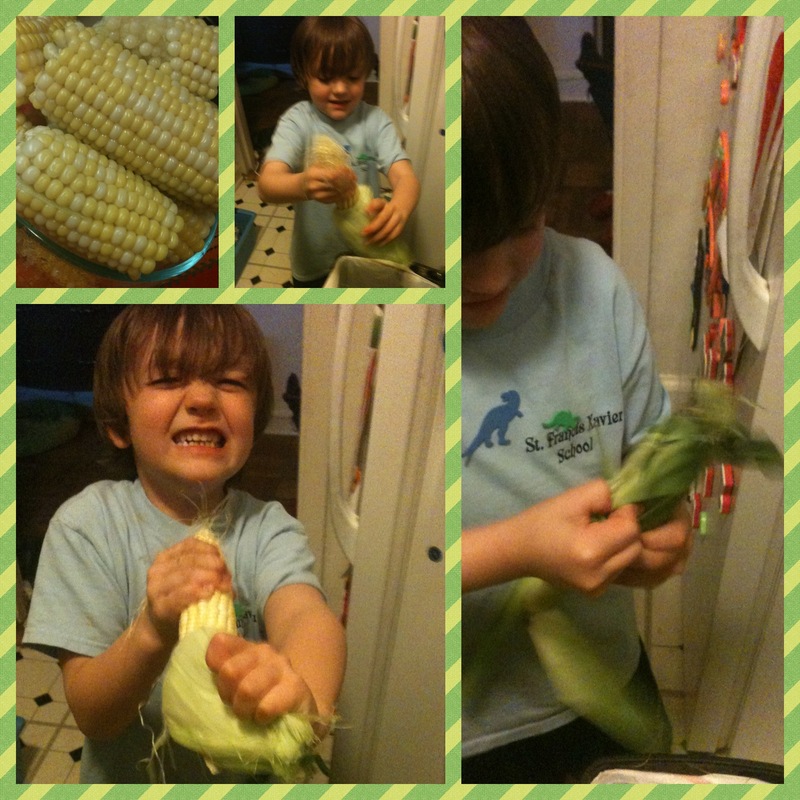 This entry was posted in food, the fam and tagged Cooking, corn, corn on the cob, Food and Related Products, kids, vegetables by Southern Girl. Bookmark the permalink.